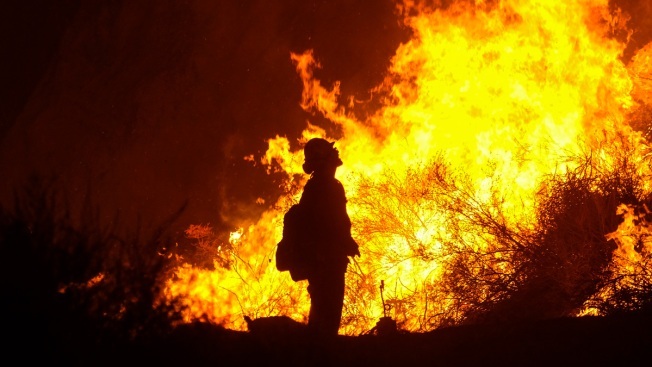 In this Aug. 9, 2018, file photo, a firefighter keeps watch as a wildfire burns in the Cleveland National Forest in Corona, Calif. Researchers have expanded a health-monitoring study of wildland firefighters after a previous study found season-long health declines and deteriorating reaction times. Randy Brooks' son had a request three years ago: What could his dad do to make wildland firefighting safer? 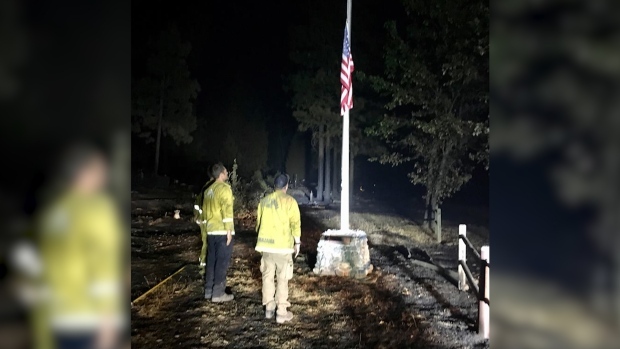 Alameda Country Firefighters came across an undamaged U.S. flag at a cemetery in Northern Calif. They decided to lower it to half staff to honor the two firefighters killed in the Carr fire. 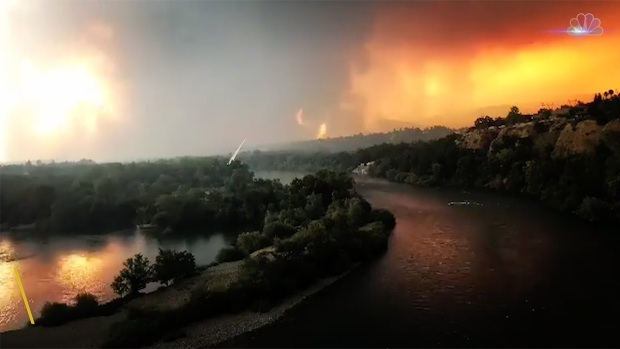 Firefighters' and residents' worst fears were realized late Tuesday when one of the twin fires in the Mendocino Complex flared up and quickly spread to area homes in Lakeport. Jodi Hernandez reports.